Welcome to ‪#‎10DaysofTailgate‬ hosted by Culinary Adventures with Camilla! This event runs rom September 20th through September 30th with nearly two dozen bloggers and more than one hundred recipes to inspire you through an entire tailgating season. A huge thank you goes to the event sponsors who have graciously donated prizes for our readers. There are fourteen different prize packages so make sure you enter the rafflecopter HERE and check back throughout the event. Don't forget to follow the hashtag on Twitter too. It's time for the opening kickoff of this virtual tailgate gathering, so let's get the party rolling! Tailgating can be a little different here in Seattle where many fans arrive at University of Washington games by boat, and sailgate afloat. 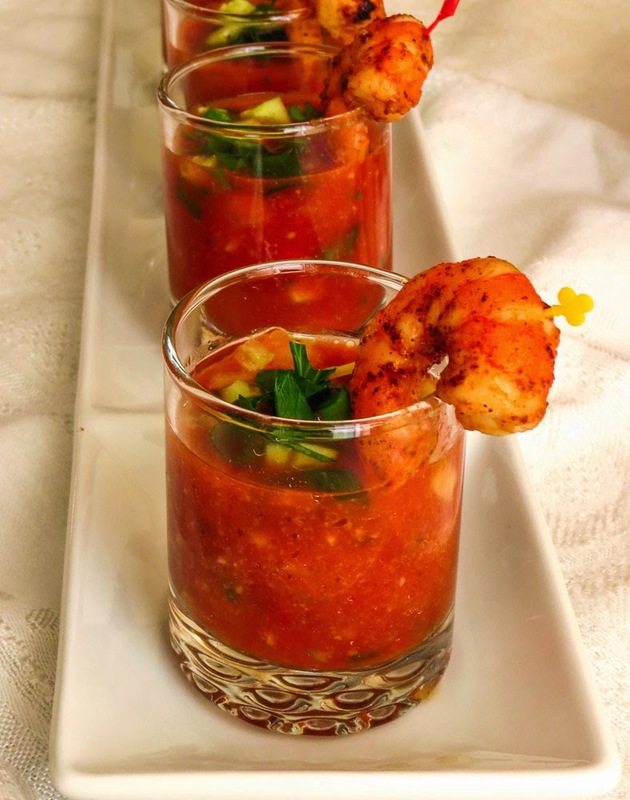 Early-season games are often held in sunny 70-80 degree weather, so this chilled Gazpacho Shooter with Spicy Shrimp would be a welcome starter. Is this a family-friendly appetizer, a soup, a colorful salad, or an adult beverage with an added shot of vodka? It could be any of the above; the difference is all in the details. Whichever option you choose, gazpacho is deliciously refreshing, a perfect kickoff to warm-weather tailgate parties anywhere. To save time, you can prepare the Gazpacho a day ahead and hold it in the fridge; the texture and taste actually improve with an overnight rest. 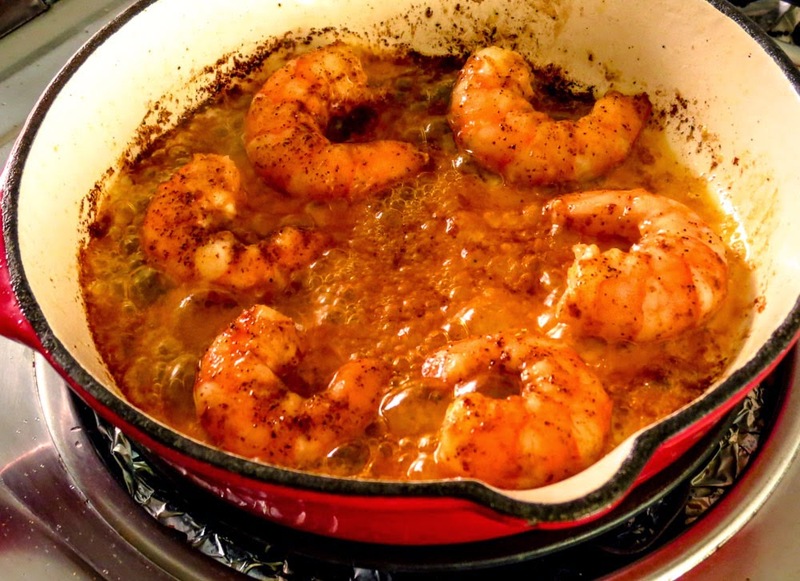 Cook the Spicy Shrimp ahead of time to serve chilled, or grill them just before serving to serve warm. Offer the soup chunky to sip as an easy-to-eat appetizer, with or without a spoon. Or puree all of the ingredients in a blender and pour; add a shot of vodka or tequila to each glass and you have a zesty, Better-Than-A-Bloody-Mary beverage that's colorful and loaded with flavor. Increase the vegetables/decrease the liquid, go light on the blender action and shazam! it's a Gazpacho Salad to serve as a light, healthy option. After all, not everyone yearns for chili, sausage rolls, wings, ribs, pulled pork, loaded nachos, etc. before a game - I do love those traditional tailgate offerings, just not so much in 80+ degree weather. Yield depends on size of glass - I filled 12 shooter glasses and 6 small bowls with this batch. Combine garlic, bread crumbs, half of the V-8 juice and half of the sweet pepper, tomatoes, onion and cucumber in a food processor or blender and puree. In a pitcher or bowl, combine the puree with the remaining V-8 juice, diced veggies, oil, vinegar and seasonings. Blend with a spoon; taste and adjust seasonings. Taste again. The soup should be thick, chunky and slightly glossy from the oil. Chill for an hour or two, or overnight. Stir before serving. Heat the oil and butter in a medium sauté pan and cook over medium-high heat until the butter melts. Add the chipotle pepper, paprika, garlic and hot sauce and cook for a minute or two until fragrant, stirring or swirling the pan occasionally. Sprinkle the shrimp with salt and pepper. Add the shrimp to the pan and cook until barely done, just a minute or two on each side until they turn pink. 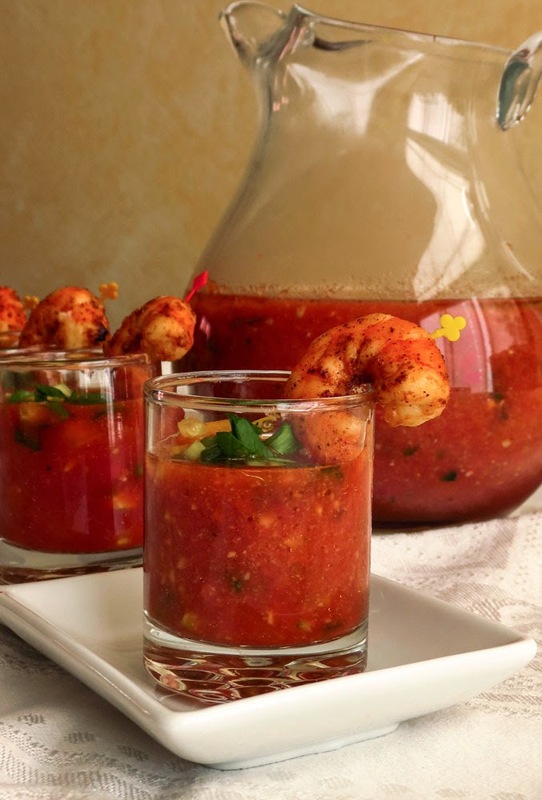 Remove the shrimp from the pan, skewer each with a long pick and add to each serving of Gazpacho. OR make the sauce and keep it warm. Thread the raw shrimp on a double-prong metal skewer and grill on a lightly-oiled barbecue for a minute or two until just cooked through, brushing with sauce frequently while they cook. Serve as above in step 2. 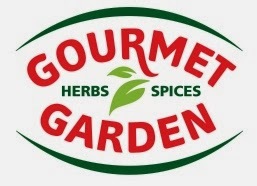 Note: Gourmet Garden is a sponsor of #10DaysofTailgate, but I purchased my own product. I love this company and have used many of their high-quality products in my home kitchen and boat galley for years. Click below to explore more tempting tailgate food from the #10DaysofTailgate bloggers. Thank you, Rebeka, we enjoy them. Absolutely delicious! These are perfect for tailgating. Thanks, they have been popular at gatherings. Sailgate?!? That's SO cool. Thanks for posting this and for participating in #10DaysofTailgate, Dee. I have a gazpacho planned for later this event, too. So good. Seattle fans DO love partying on the water. This looks delish!! I'm a sucker for anything with shrimp, so I have to try this! Hope you enjoy the dish. Sailgating!? That sounds so fun!! What a great way to start the #10DaysofTailgate. Isn't this going to be a great 10 days of tailgate recipes!! Thanks for the virtual High Fives, Debbi. sailgate? how fun! 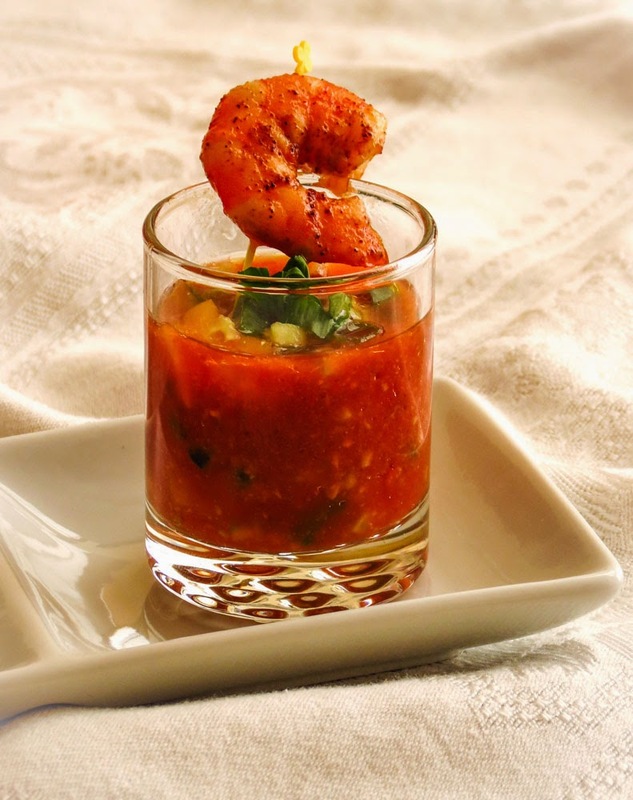 your gazpacho looks so good! One shooter coming right up - one shrimp or two? Your Spicy Bourbon Shots plus a shooter or two could add some celebration to any kickoff! Thanks, Bea... perhaps to accompany one of your delicious meatloaf sandwiches. I may not like shrimp but I cannot deny that presentation, it looks great! No worry, I'll eat your share of the shrimp, Erin. Thanks for the compliment. sailgate! Cute. I love tailgating in Seattle! I lived there for 7 years! So fun to meet you this weekend! Thanks for connecting, Holly. Me too, meeting you. I'm SO impressed with your photography and look forward to reading through more of your posts.